There is no more complex character in the world of Naruto than Itachi of the Uchiha clan. He is somewhat alone in his own universe, nobody so far has been able to approach him enough to know his true intentions. We do know that Itachi is a member of Akatsuki, and it would seem that he is a feared and respected member amongst the group of missing-nins. His goal, if it is the same as the rest of the group, is to bring back all of the "tailed" demons, from the one that Gaara has in his body, to Kyuubi that lies sealed in Naruto. Itachi is a lonely guy, from what we could see from the few glimpses we have gotten of his past, he spent most of his time alone and training in the wild, or doing missions for the Konohagakure police force or ANBU Squad. It is known that Itachi had one close friend by the name of Uchiha Shisui, but it seems as if this was only because Itachi needed someone to obtain the infamous Mangekyou Sharingan. Cold with everyone, even his own family, the only person that was able to approach him enough to get a smile out of him was his little brother, Sasuke. It seems as if this behaviour was only a mask to hide Itachi's more and more murderous intentions. Even though Itachi became like this, he had everything an aspiring ninja could want. Very talented from the beginning, Itachi showed to be more than promising as he was the top rookie of the academy and he graduated in only one year at the age of seven! A year later, at the age of eight, he was able to activate the Uchiha Clans special Advanced Bloodline ability of the Sharingan, which is exceptional for one of such a young age, even his brother Sasuke could not activate this until the age of twelve. Boosted with this new ability Itachi became a Chuunin at the age of ten. Later Itachi would be a Jounin and ANBU squad leader at the age of only thirteen. Tired of being surrounded by people he considered as weak low-lives, Itachi decided to test his own strength in a sickening way. He began his evil deeds by killing his best friend Uchiha Shisui, and with this he obtained the greatest technique achievable by his bloodline, The Mangekyou Sharingan. It would be awhile before Itachi would commit his next act, when he would finally let his murderous intents take over. One night, dressed in his ANBU suit, he began the last act he would perform in Konoha for many years, the killing of his entire clan. 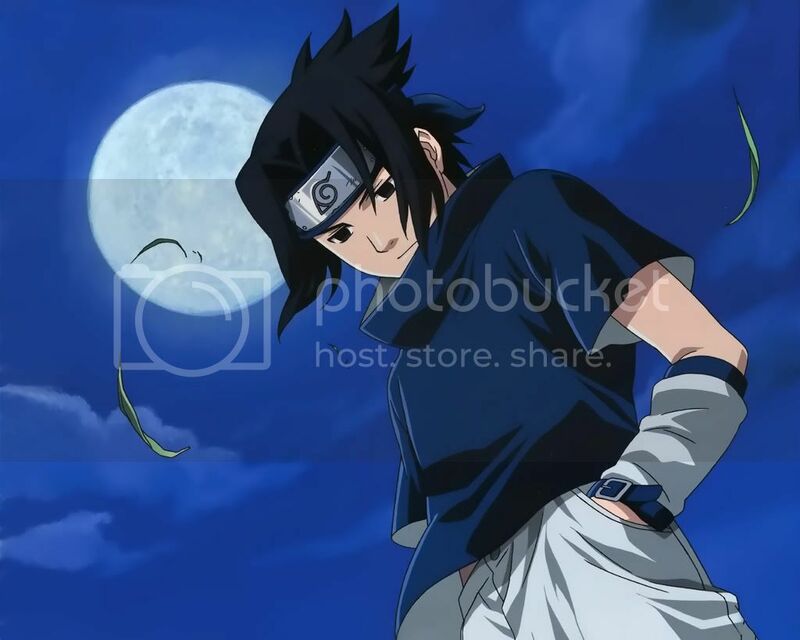 He succeeded with no trouble at all, killing everyone including his Mother and Father, the only person he spared for twisted reasons was his little brother, Sasuke. There are many reasons why this could be, one is because he wanted his brother to live a life of suffering, tortured by the death of all whom he loved. Another is because Itachi possibly did not want to suffer the guilt of being responsible for the death of his entire clan, so he left one of them alive. Or, perhaps, Itachi wanted his brother to grow strong, strong enough so that one day he may be worth fighting, his last words to Sasuke were that he was not even worth killing.